My accountant notified me of a recent important amendment to the Hong Kong Companies Ordinance that took effect on 1st March 2018. The HK Government has stated that for the purpose of enhancing transparency of corporate beneficial ownership, every Hong Kong incorporated company, other than a listed company, is required as from 1st March 2018 to obtain and maintain up-to-date beneficial ownership information by way of keeping a Significant Controllers Register (“SCR”). The SCR has to provide information as prescribed by the Ordinance, and has to be open for inspection by law enforcement officers upon demand. In addition, each company has to designate a representative to serve as a contact point for providing information about the SCR and related assistance to law enforcement officers. The designated representative must be either a shareholder, director or an employee of the company who is a natural person resident in Hong Kong or an accounting professional, a legal professional or a person licensed to carry on a business as trust or company service provider. The particulars of the designated representative are required to be entered into the SCR. Failure to comply with the above obligations is a criminal offense. The company and every responsible person of the company are liable to a fine of HK$25,000, plus a daily fine of HK$700. 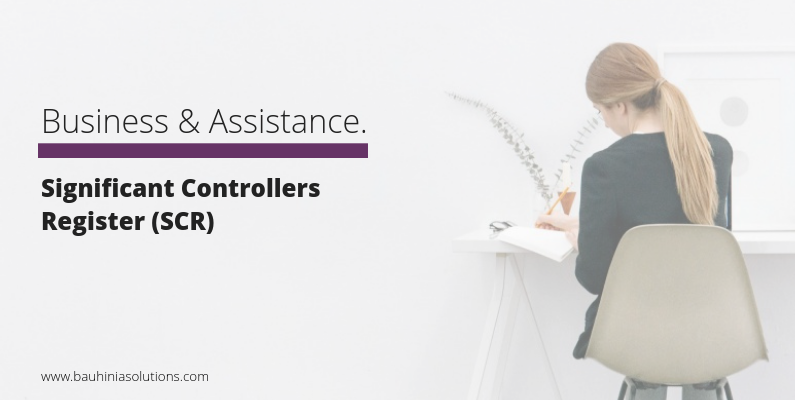 The Significant Controllers Register can be a spreadsheet, and needs to be kept some where easily accessible – Dropbox, portable disk drive or a computer located at the location stated on your forms. If you’d like to read more about this, please do so on the government’s Companies Registry website and you can download the NR2 form (Notice of Locations of Registers and Company Records) from there too. The NR2 form must be sent to the Companies Registry Office.